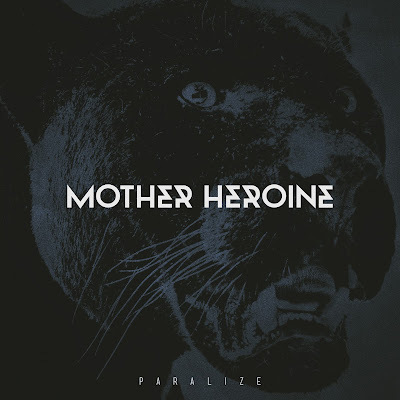 Mother Heroine is a four piece heavy rock band from Luxembourg. Their sound is a mix of classic hard rock blended with blues, psych, doom and stoner rock influences. Steaming bass lines, swirling drums, raw guitar sounds and a peculiar voice make Mother Heroine one of a kind. They played their first shows and released the "Red Leader" EP end of 2012. Beginning of May saw the release of a new single "Paralize". Mother Heroine will be performing throughout the year and release a first album after the summer. "I must start off by saying, what in the hell took me so long to listen to Mother Heroine. These guys straight up freakin' rock. They have a terrific heavy and fuzzy sound that floats along with a bewitching groove and unique vocal, one of which I am still having a hard time pinpointing. Almost Morrison-esque but with a touch of evil. The band released their EP "Red Leader" back in December 2012, giving fans worldwide a teaser as to what the band is capable of. In May the band released their single "Paralize" ahead of a few performances and a full-length debut. Based on what I have heard already, these guys are sure not to disappoint. Bros! Noooo. What happened to your Top 12 albums lists! I need it to sift through the madness man! The madness... AAAAAHHHHHH didle du didle du. Are you referring to our Top 10 lists of 2012? Yes. You had top albums of the year lists, with Nuclear Dog's, Seth's, Zac's, and all the rests top album picks for the last couple of years... It was great. I will put it back up. Awesome my friend. Thank you.